With an Artiteq hanging system, you can simply hang up a picture without drilling in the visible surface of the wall. The hanging system of Artiteq are known for their design, quality and simplicity in use. 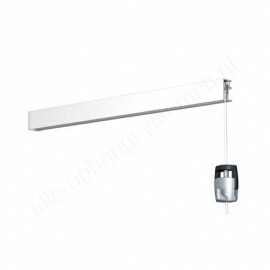 The hanging systems of Artiteq come in various types and sizes. Every type and size has its own specifications. A Click rail makes the hanging up of pictures and other wall decorations, very flexible. The rail is simple to mount and comes in primer, RAL White or brushed aluminum finish. The primer version of the Click Rail can be painted in the same colour as the wall, so that the rail remains almost invisible. With the use of a Deco Rail, the hanging system disappears subtly behind the cornice. This results in a perfect finish for the ceiling and beautiful walls, while you are still able to easily hang up your wall decorations wherever you wish. 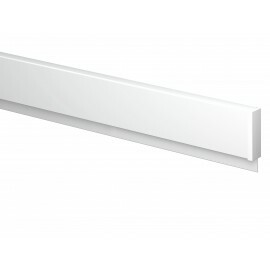 The Deco Rail is available with three types of cornices. An Info Rail is a handy solution to share information in a space. Think of shopping lists, children's drawings, photo's or recipes, all within easy hand reach on the wall. The Info Rail is, therefore, a very practical addition to the wall, for example, the kitchen, the children's room and even at the office. It is also ideally suited for schools. The rail is very easy to mount and is available in white or aluminum. The Top Rail is meant for mounting on a ceiling system and is simple in use due to the quick inserting of the wires with a hanging hook. With the ceiling system, the Top Rail can be attached against the wooden side-strip. 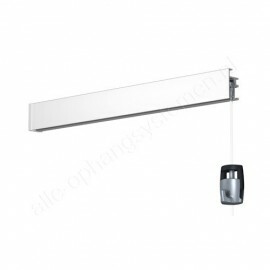 Artiteq has invented, produced and developed hanging systems since 1995 and is established in the Dutch town of Tilburg. Artiteq features its own product development and extensive quality control. Due to this, Artiteq is an important world player in the field of hanging systems and its products are sold in more than 60 countries. Do you also want an Artiteq hanging system? View our large choice of all Artiteq hanging systems and order direct in our online webshop. If you still do not know which Artiteq hanging system is suitable for you, please contact us for free advice.